In France from Menton you will walk along the famous ‘Balcony of the Côte d’Azur’. In Italy, you will follow the ‘Sentiero Balcone’. At first glance, there is little difference to be found between the historical County of Nice and the former Republic of Genoa. They share the same type of beautiful architecture, villages set into the steep coastline, the area has a shared history which is evident when weaving from one valley to the next among the pines. 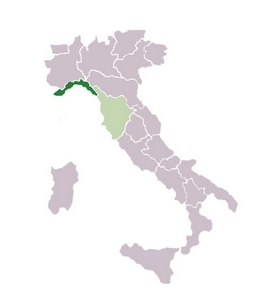 However, once you have crossed the border into Italy, the atmosphere quickly changes. Other walkers on the path become a rarer sight, and the markers become less frequent as you follow routes through more remote areas. The villages, however, become livelier surrounded by vineyards and olive groves. This really feels like another world, well-preserved and still kept secret. 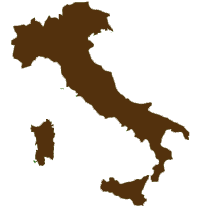 Torri – Airole – Rochetta-Nervina Long itinerary:morning transfer by bus or taxi to the hamlet of Torri Ventimiglia in the Bevera Valley (altitude: 95m). A beautiful track that slowly climbs the left bank of Bevera to gain the hamlet of Collabassa (320m), that sits on the crest which separates the Roya and Bevera. The path descends to cross the Roya at the foot of the beautiful village of Airole (110m), where you can visit its narrow streets. After a short break, we must tackle the climb to the Sella dei Due Abelli (750m): a wild and wonderful path that plays with obstacles of the terrain. On the other slope, after a few meters on the old strategic route of the Italian Maginot line, a beautiful descent is waiting for us to go to Rocchetta Nervina Valley. One last olive grove and the path leads you directly to your hotel (200m altitude). Total: + 890m - 780m and 6h hiking. Perinaldo – Dolceacqua - Pigna After visiting Apricale, a nice path will take us up along the ridge to the perched village of Perinaldo almost 600m above sea level and offering an absolutely stunning view of the sea! Then descent to Dolceacqua, along a path of pilgrimage to Our Lady of Sorrows. You arrive above the old town by its imposing castle. But Dolceacqua is mainly famous for the beauty of its bold medieval bridge over the Nervia (and of course it’s wines!). After visiting the village, transfer by regular bus to the village of Pigna, in the upper valley of the Nervia. This beautiful village has a beautiful altarpiece and a chapel painted by Canavesio, one of the major artists of the late fifteenth century in this cultural era of Savoy and Liguria. Total : + 450m, - 650m and 4h30 hiking. Baiardo – Monte Bignone - San Remo From the village of Baiardo, you'll go along a forest ridge that takes you without any difficulty to the summit of Mount Bignone (1299m), the most beautiful belvedere of the Ligurian coast (At the Belle Epoque, there was even a cable lift that mouted the tourists of the Riviera to it). Descent through the forest of the natural reserve of San Romolo (760m). 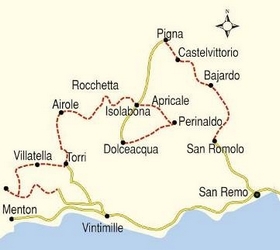 Transferby regular bus to San Remo. Total : +450m – 540m and 4h30 hiking. San Remo - We recommend that you spend at least one morning to discover San Remo, especially if you are there on a Saturday, when the weekly market takes place in front of the cathedral. Return by trolleybus or train to Ventimiglia (numerous departures). Correspondence with Ventimiglia via a regional train (TER) to Menton or Nice. It is too hot in Summer to walk there. Base 2 to 3 persons : 695 €/person in double room. Base 2 to 3 persons : 815 €/person in double room. 2 ** or 3 *** hotels or guest rooms.